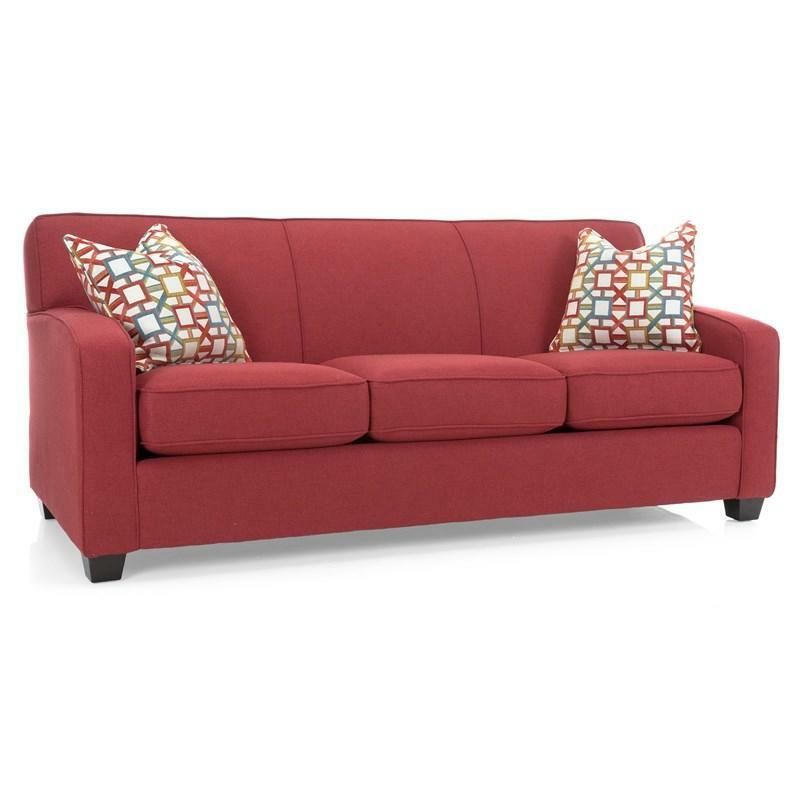 This Sofa by Decor-Rest Furniture features a transitional style with welted detail around arms, back, and seat in the same color fabric with tight back and box seat design on seat cushions with two contrasting accent pillows that will give your living room a modern and fresh look. This stylish chair from Decor-Rest Furniture will make a statement in your chic living room. 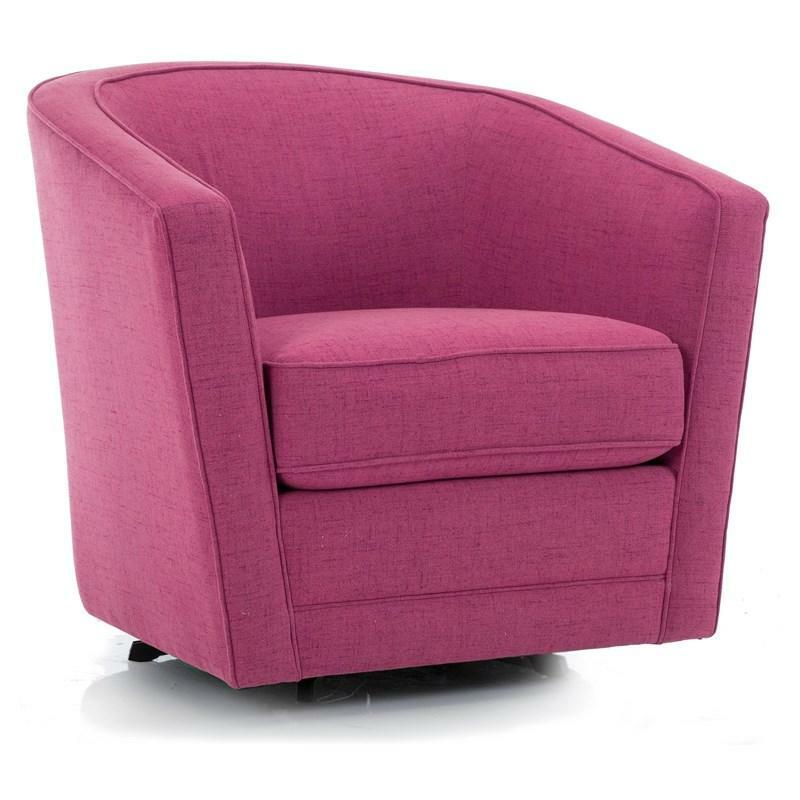 It comes in a pink finish and features track arms, tight back cushion, padded seat cushion, and a swivel base.